Have you been pretty worried on how to pass jupeb entrance examination or soliloquizing regarding your admission and you have this burning question inside of you " how do I get admission with jupeb in 2019/2020 session to any university?" Then this post will answer your questions and clear your doubts. Jupeb these days is one of the means of admission that I guarantee 100%. If you have the required points you would definitely find it easy to get admission with jupeb. 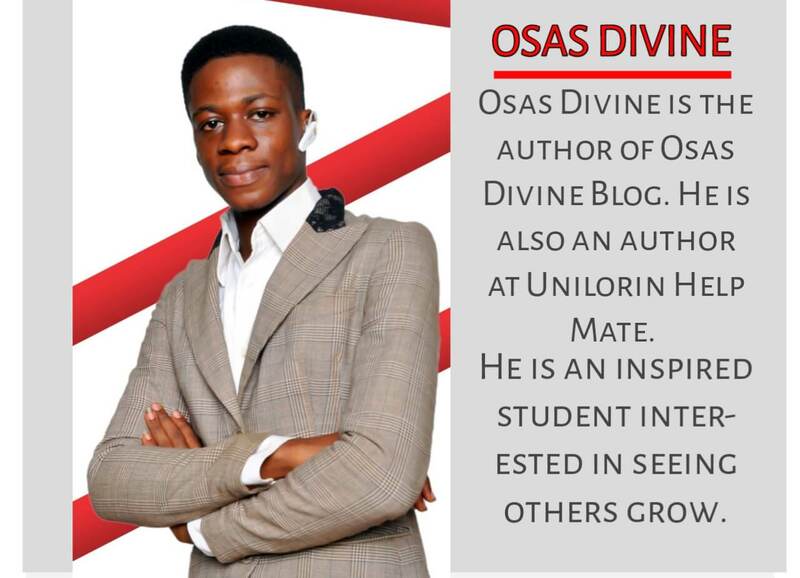 Welcome to your Nigerian number one admission coaching session with 'Osas Divine' today I am going to show you strategic ways to gain admission with jupeb in Nigerian. This article will reveal the basic facts everyone has to know before and after writing Jupeb ...keep reading. Assured steps to get admission with jupeb 2019/2020 session. 'What do I do to get admission with jupeb in any university without jamb? " And today your Nigerian number one admission coaching blog has decided to spill the bean, everything you ever wanted to know is what you are reading right now. 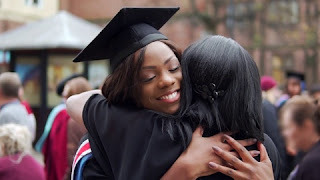 This article should hopefully guide you step by step on your jupeb 2019/2020 admission programme. Remember, it's one thing to write the exam, it's another thing to pass it and finally, it's another thing to get admission with the certificate. I want more guarantee that after reading this strategic guide you would find it easy to apply it and achieve your ever dream to be at 200 level in any Nigerian tertiary institutions. *Before I start, just in case you don't know this, you can skip ahead. Jupeb ( joint university preliminary examination board ) is a qualification you can use to gain admission into 200 level into any school of your choice without jamb. Jupeb is like a space ship that will shoot you directly into 200 level, very easy to pass and very reliable. So let me show you how to use it. 7 steps to gain admission with jupeb. Get someone to Back the admission up. These 6 steps may be what you have always known but I need to tell you something very special on these seven above-listed things so keep reading. Jupeb is done in almost every state, but does every state count as a reliable place to run the programme? I am sure you have been to many blogs or website asking you to register with them or placing adverts about jupeb. Are all these the right sources? Well I can't say No, and I can't say Yes either. But what I want you to know is, the most reliable center to apply for jupeb is in the university you are aspiring to attend. In a nutshell, let's take for example that you're aspiring to study in the University of Lagos, then it's much better to apply for the programme directly there but still, you need to consider some other little things. My advice is don't register with a center you know is not common or has no proof to show with the past students they registered in their centers. I am a whole lot experienced in this and I know why I am saying this. Jupeb is not something to joke with at all because you will have to spend a lot and I bet that you can waste your time, money and effort if you just walk into any center. These days many new centers looking for a way of lively hood just appear out of the blue ( from nowhere), gave themselves a name, got a little place to start-up, pay some bloggers for adverts and start tasking students to come to their centers to get more turnout, they lower their fees or introduce the so-called jupeb scholarship. I wouldn't want to paint them as bad because a lot of them would also provide you with the same benefits you would get from doing it directly from the school you want to apply for. While many are there to scam you. Just be very conscious of the center you choose. Make sure the fees and lectures are standard. 2. Attend jupeb classes that are noteworthy. Once you're registered you need to as well attend jupeb classes so that you can pass the examination. These classes would make you qualified for the examination. Studying on your own is good but that alone won't give you a good ground to stand on if you truly want to get admission with jupeb; then be ready to kill a lion. That is why I suggested selecting the best jupeb center in other to get standard Jupeb classes from them. More in-depth, without attending jupeb classes, I mean more and more of it you can't make the examination in order to get admission with jupeb in the first place you need to pass the examination. During the class/lectures; ensure that you make it noteworthy by listening carefully and following the tutors. Ask questions about the things you don't know and take Important notes. There is no other magic I have for you. As your admission coach if admission with jupeb is your priority. The first thing to do is to have your certificate/result ready because that is what you would use while processing your admission. Don't bother much about the admission if you can't make 5 points and above. Although it depends on your choice of course. While attending classes get a group of friends you can relate with to put you through on those areas that you don't know. In my previous article where I shared the steps on" how to get 15 points and above in jupeb" I mentioned something; do not think of using malpractice for jupeb, that is why I am advising you to attend classes. The points you score in jupeb matters so much. Amid your registration, ensure you have carefully analyzed and weighed the course you plan to go for. Jupeb is highly respected in most Universities in Nigerian. The University of Lagos, the University of Benin and the University of Ilorin stands as the best when it comes to Universities that value jupeb certificate. Remember that not all universities would accept jupeb but variable 70% of federal universities would accept it if not more. So beforehand make sure you have opt-in for a perfect course. Give it your best and try to score high in the examination. If you're able to make good grades then it would be easier for you to gain admission with jupeb. The center you are registered under would also have a role to play as to what extent possible you would make good points. A good point for jupeb is at least 9 or 10; the more the better. Prepare yourself adequately because, admission these days in Nigerian demands you going an extra mile. The resources provided in your center alone would not be enough, also look for ways you can help yourself before taking the exam. Get jupeb syllabus and jupeb recommended textbooks. Preload yourself with these resources and make sure that when you sit for the examination you would eventually get the points that can guarantee your admission. If you can't get high points, I really can't say whether this whole admission stuffs would have meaning except you get so lucky. However, Jupeb entrance examination is not much difficult and you don't need a science rocket to pass the exam. Just prepare for it, you would only have to write three subjects in the examination. I am making more reference on this area because to get admission with jupeb you must first pass the examination. I don't want to tell you alone to Just write the examination. But I am coaching you also on what to do to pass the examination. Apply for the right course, prepare yourself and write the examination, make sure you come out with flying colors and proud result. 4. Get your O'level result correct and ready. Whether you're using jupeb, jamb or whatever, there is no magic to secure admission with jupeb if you haven't a good O'level result. O'level result, be it WAEC, NECO or GCE is the bedrock and foundation of admission processing in any Nigerian University. Therefore, if you want to get admission with jupeb you need a standard O'level result. You have to make sure you have a very good one, when I mean a very good one I am talking about having A+ parallel in all your desired subjects alongside with English language. Having B's is okay but A's have more power because they are calculated alongside your other qualifications. How to pass Waec use of English. Does it mean I can't use jupeb with an awaiting O'level result? Absolutely! You can use awaiting result for jupeb when applying provided the results come out before the school screening test. Can I use Neco also for jupeb? Yes, you can use Neco or any result while applying for jupeb. 5. Get Jamb direct entry form for your school of choice. Before the direct entry form closes for Jamb you need to get your form. You can do it even if you haven't written your jupeb entrance examination. It is not like you're going to write jamb after writing Jupeb, but applying for Jupeb direct entry will enable you to get your admission letter from jamb. Since jamb is in charge of processing tertiary institutions in Nigerian. N500 ( Five hundred naira) for jamb D.E novel. Remember you're not going to use this. Just to encourage you to keep reading, then lastly N700 ( seven hundred Naira) for the registration charge. If your jupeb certificate and O'level are not ready, indicate awaiting result and upload it immediately it comes out. Once you're registered you are set for admission. 6. Write your school post utme exam if applicable. Not all school uses post utme for screening, but 90.1% of federal universities use it. Make sure you register for it after your jupeb examination and also prepare as well. 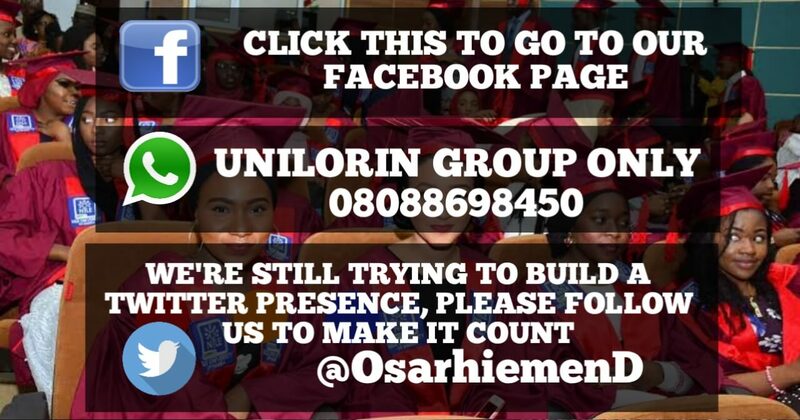 With your post utme result in place, you are definitely close to admission. 7. Get someone to Back you up. This is optional, the above steps should guarantee your admission. But if need be, get anyone with authority in the school to give you a boost. It's another great way of having a certain admission. If you made your points and you meet the requirements with someone to as well support your admission in your school of choice then success is your name. The most important things to take home from this article are. 4. And finally, process your admission with immediate effect by meeting one or two persons in authority to support you. By following these Seven steps I have given. I hope you are convinced and not confuse on how to get admission with jupeb in any university in Nigerian.